Lancaster resident Theodore Venturini will be inducted into the Airlift Tanker Association (ATA) Hall of Fame Oct. 31. He is one of six C-17A Pathfinder loadmasters that will be honored at an Air Mobility Command and ATA Symposium at the Orlando World Center Marriot in Florida. LANCASTER, Calif.–Retired Master Sgt. 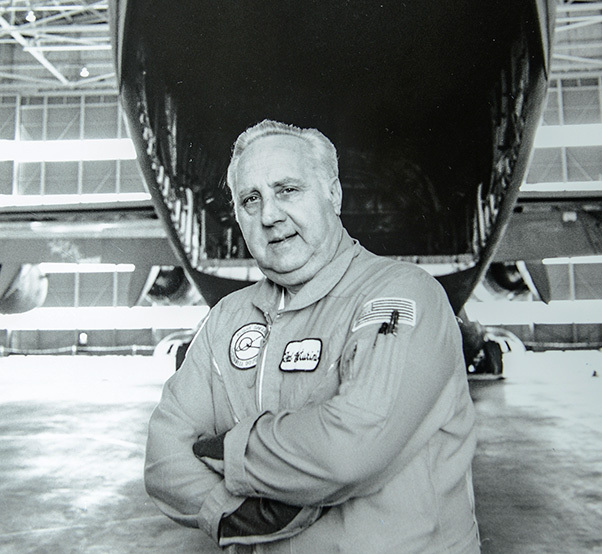 Theodore Venturini will be inducted into the Airlift Tanker Association Hall of Fame Oct. 31. He is one of six C-17A Pathfinder Loadmasters that will be honored at an Air Mobility Command and ATA Symposium at the Orlando World Center Marriot in Florida. Still located close to Edwards in Lancaster, Venturini was one of the more senior loadmasters who brought a wealth of knowledge and experience to the C-17 program. The bronze bust will be placed in the Mobility Memorial Park at Scott Air Force Base, Ill.
Venturini retired from the Air Force in 1979 and went to work for McDonnell Douglas as the chief loadmaster on a program code named C-X D9000, which later produced the C-17 Globemaster III. At McDonnell Douglas, he authored a critical section of the Operational Volume of the C-X proposal. The proposal featured a uniform cargo floor and ramp structure with all of cargo handling systems and associated operational redundancies built into the aircraft. He also helped design the first fully integrated and dedicated loadmaster station that would enable the loadmaster to have full control of the entire cargo compartment and all associated systems from the dedicated operating station. “From 1979, I laid out the first loadmaster station and panel in 1981, the work that was going on up here was going on for a long time. That’s how I was instrumental in the three-man crew,” he recalled. 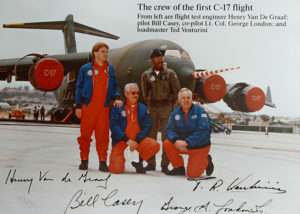 Theodore Venturini (right) is shown with the rest of the crew on the first C-17 flight Sept. 15, 1991, out of Long Beach, Calif.
Then on Sept. 15, 1991, he flew as the loadmaster on the first flight of the C-17A Globemaster III. Today, there are 213 C-17 Globemasters serving the U.S. Air Force as the newest, most flexible cargo aircraft in the airlift fleet. Getting to the C-17 was a long journey that started in Luxembourg, where Venturini and his wife Marcelle were born. The couple, along with Venturini’s sister, emigrated to Canada in the 1940s where he worked on the Distant Early Warning Line, an early warning radar station that stretched from Alaska to Greenland detecting Russian radars. At that time, he had a distant cousin living in Cleveland, Ohio, who asked them to immigrate to the United States. After moving to Cleveland, he took a job in the steel mills as a mechanic. After being laid off from that job, someone suggested that he talk to an Air Force recruiter. 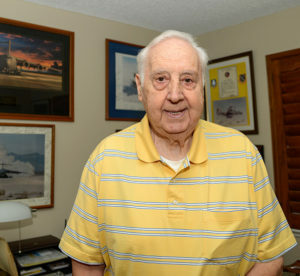 He joined the Air Force in 1958 and just three years later he pledged his allegiance to the United States and was sworn in as a citizen in Sacramento, Calif.
Venturini’s first assignment in the Air Force was to McClelland AFB, Calif., as an aircraft engine mechanic on the B-50 bomber. The bombers were converted into weather observing airplanes that carried “all the weather tracking tools you could imagine.” This was before satellites, Venturini recalled. The job was a learning experience for Venturini who had been taught to use the European metric system. To help, he would sit with a tool box open and review each of the conversions to the U.S. customary system. “Everything I knew was metric. I didn’t know what an eighth-of-an-inch was. It was a long learning curve for me to translate everything in my mind that was the metric system that I learned to the U.S. system of measurements. It was an uphill battle,” he said. His goal was to become a flight engineer, but his rank kept him from being selected for the school. The engineers in his squadron would let him take the pilot’s seat and run the control panel while they supervised. Master Sgt. 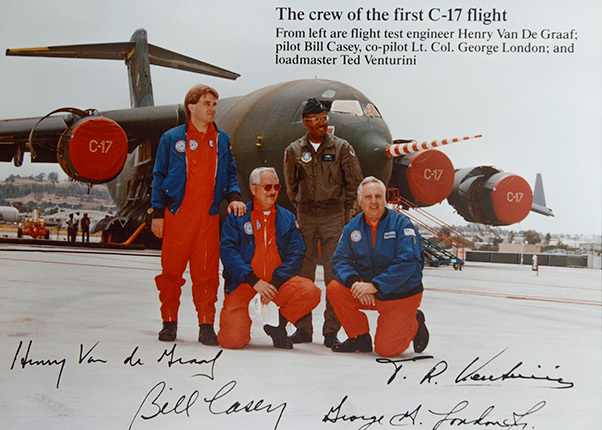 Theodore Venturini retired from the Air Force in 1979 and went to work for McDonnell Douglas as the chief loadmaster on the first C-17 Globemaster III, code named the C-X D9000 program. At McClellan, Venturini was working two jobs. His wife took a job at the Base Exchange and the base was also where his daughter was born. After clocking out for the Air Force he would put on civilian clothes and go to work as a mechanic for the commercial airline next door, which hauled cargo between bases. In 1961, the Air Force sent the Venturinis to Travis AFB, Calif., where he learned to be a loadmaster on a Douglas C-133. Unlike many other loadmasters, he learned from experience instead of attending loadmaster’s school. Just a few years later, he went to Hawaii where he was assigned to the Satellite Aerial Recovery Program at Hickam AFB. While there, he learned about parachutes and ballots that slow down satellites for atmospheric reentry. The program was code-named “Corona” and missions were flown in a modified JC-130 and HC-130 aircraft. In 1968 he joined the Air Force Flight Test Center at Edwards AFB where he became the project loadmaster for the C-5A Galaxy Test Program. According to Venturini, the most important thing was to learn the systems. 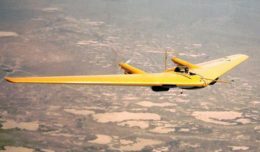 He first learned about the hydraulics, then the electrical systems and structures, then anything else he could learn about how the aircraft operates. Anything he wanted to know, the Lockheed Martin engineers would teach him. He had to learn how to load, restrain and unload items that could weigh more than 100,000 pounds. For example, Venturini says he was highly instrumental in developing specialized loading procedures for the M-60A Patton Main Battle Tank, which weighed in at 110,000 pounds. Perhaps his most notable achievement at that time was his direction and oversight of the test loading, operational air drop and in-flight launch of a 90,000 pound Minute Man Missile during the Cuban Missile Crisis. During his time at Edwards he worked on the C-5, C-17, YC-14 and YC-15. In 1974 the Advanced Medium Short Take Off and Landing Aircraft program gave him the chance to be the project loadmaster on the McDonnell Douglas YC-15 and Boeing YC-14. Both aircraft were “fly before you buy” prototypes to determine which contractor would receive the contract for the new C-17. “The idea of having a loadmaster station started in both of the airplanes. The three-man crew concept actually was born in those two airplanes,” said Venturini. Looking back on his career, Venturini believes it was having good mentors and support; especially from his family, which he says is what allowed him to be successful in his career. He encourages young loadmasters to learn the systems they fly on so they are always able to back up any request they make to an engineer.